Upon my resurrection, I thought I was dreaming. My head felt fuzzy. A little man inside it was drilling away at my brain with a tiny but immensely effective jackhammer. My mouth felt like it was glued shut, my tongue ten times normal size and made of sandpaper. A crew of little men sliced furrows in my throat with dull rusty swords, cackling merrily as they destroyed my trachea. It was all surreal. I remembered my name and profession, but I couldn’t remember what happened to me. Every time I strained for the memory, it receded while raging torrents of dark waters overwhelmed me. Colleagues and readers have dubbed Kerry Alan Denney The Reality Bender. 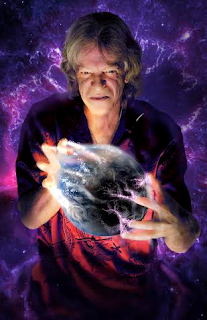 The multiple award-winning author of the paranormal thrillers Dreamweavers (Juju Mojo Publications, August 2015) and Soulsnatcher (Juju Mojo Publications, April 2014), the post-apocalyptic sci-fi/ horror thriller Jagannath (Permuted Press, February 2015), and numerous short stories published online and in anthologies, Kerry blends elements of the supernatural, paranormal, sci-fi, fantasy, and horror in his work: speculative fiction at its wildest and craziest. With joy, malicious glee, and a touch of madness, he writes reality-bending thrillers, even when the voices don’t compel him to. His protagonists are his children, and he loves them as dearly as he despises his antagonists... even when he has to kill them. On July 24, 2015, Jagannath became a #1 Amazon bestseller. On March 31, 2015, Soulsnatcher won 2nd Place as 2014 Book of the Year in The Drunken Druid’s International Book Award competition. Jagannath and Soulsnatcher each received a rave blurb from New York Times bestselling author James Rollins. Kerry lives in Stone Mountain, Georgia with his golden retriever Holly Jolly, a veteran professional Therapy Dog, where he is currently writing his next supernatural thriller... and deciding who to kill in it. Be on the lookout for Kerry’s new post-apocalyptic/ paranormal thriller A Mighty Rolling Thunder, coming December 3, 2016 from Burning Willow Press. Hi Mai... I would warn them NOT to go into that dark basement/ cave/ tunnel/ alley alone and unarmed, lol. Hi Peggy, and thanks for your question. I always have so many story ideas swimming around in my head that I rarely suffer from writer's block. It's more like I occasionally "get stuck," and it's usually short-termed. When I do get stuck, I don my Editor's Hat, and go to town editing either what I'm currently writing or another work-in-progress. There's really no end to the work to make a story come out just right. Something always needs fixing or improving. Once I've spent some quality time editing, my muse always kicks back in, and I'm writing new stuff again. Thanks for asking, and if you haven't already picked up your copy of MARIONETTES, I hope you do... and find out how smooth and flowing the work is after a few hundred thorough edits. I'm confident you'll enjoy it! Sounds very interesting. Thanks for sharing the excerpt and the giveaway chance. 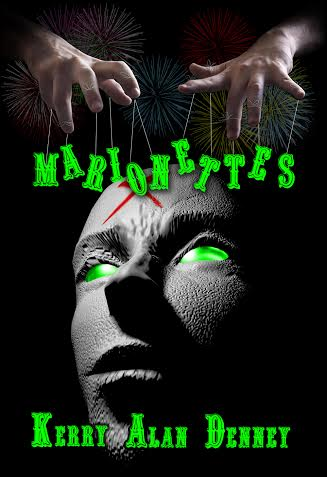 Thanks to The Book Review for featuring me and MARIONETTES today!